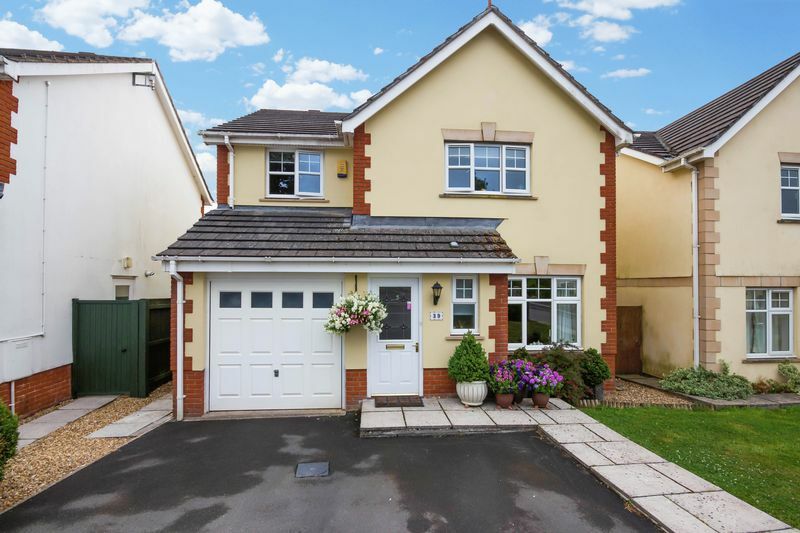 A particularly attractive and extremely well presented four bedroom detached home with a stunning open plan kitchen/breakfast room, double driveway and a beautiful garden leading directly to the stream. A huge bonus to the new buyer are the solar panels which are owned outright and generate a nice income! The kitchen/dining room is the heart of the property. 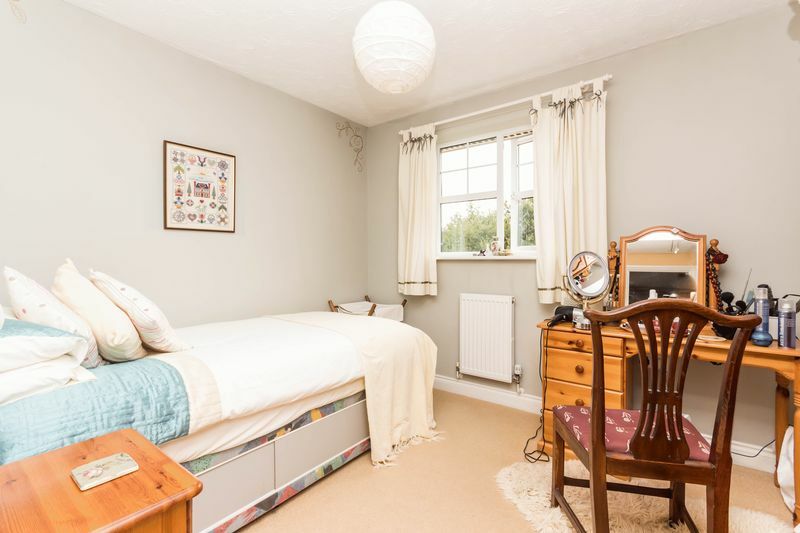 A light and spacious room offering three points of natural light and spotlights overhead. 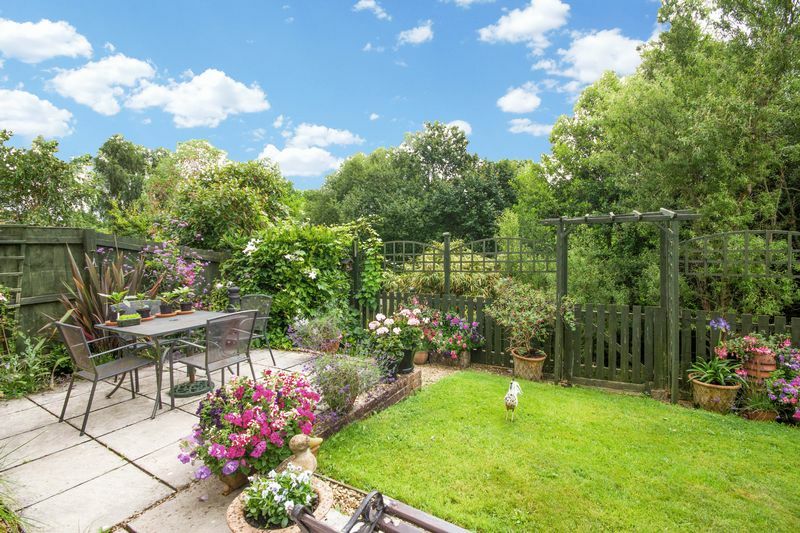 French doors open onto the rear garden with a tree line beyond creating privacy and an attractive outlook. 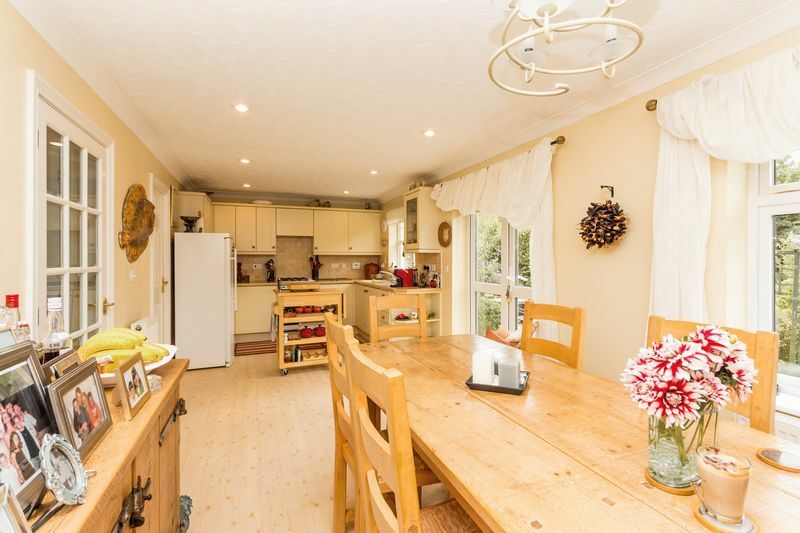 The kitchen has a good range of wall and base units with rolled edge work surfaces incorporating a one and a half bowl sink unit with mixer tap and tiled splashbacks There is an inset four ring gas hob with double electric oven below. Space for fridge/freezer. Door to garage which provides a useful area for the washing machine and dryer. 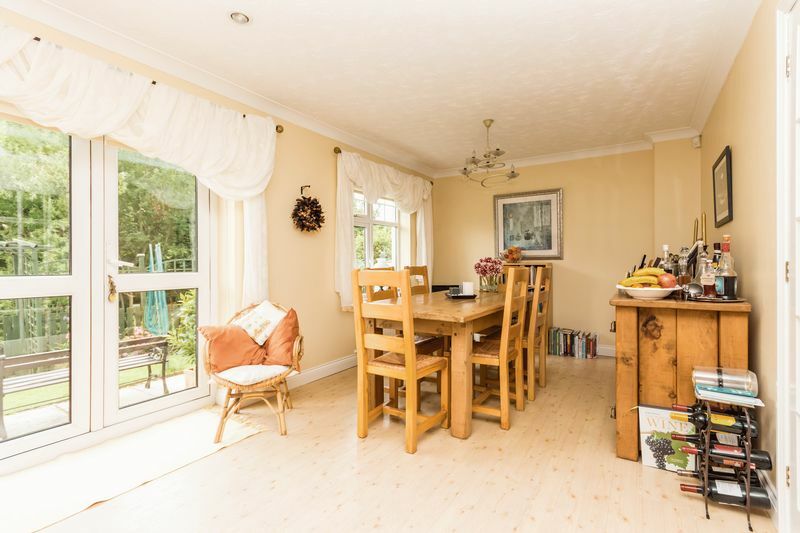 There is ample space for a dining table and chairs and a further space for a sofa if required - perfect for entertaining and a real family room. 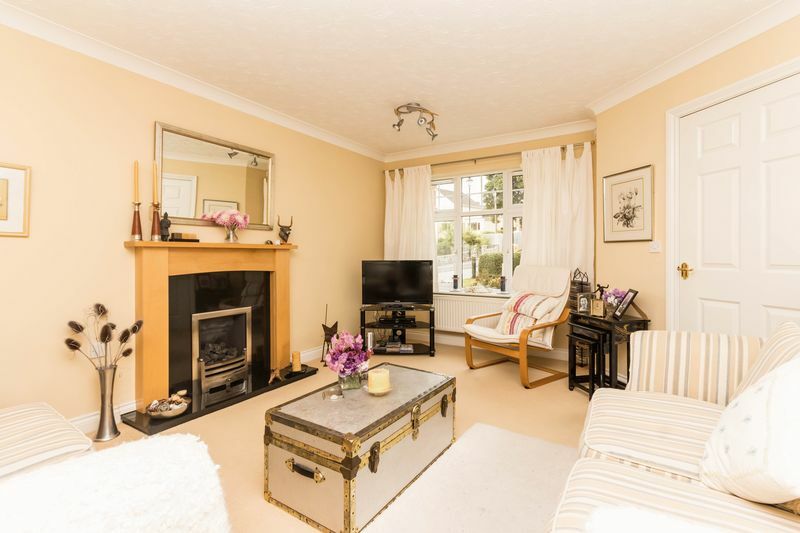 The living room enjoys a living flame gas fire with wooden surround and mantle over. 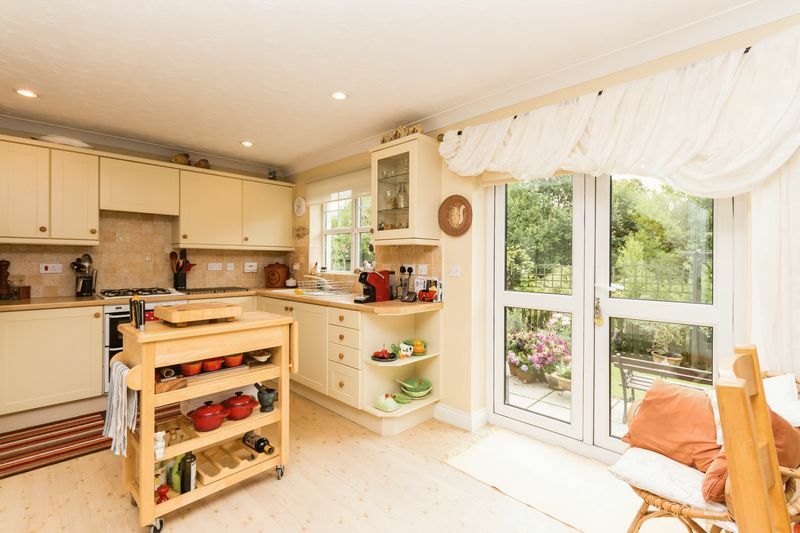 There is a window overlooking the front aspect and a useful under stairs storage cupboard. From the entrance hall there is a downstairs cloakroom with WC and stairs to the first floor. 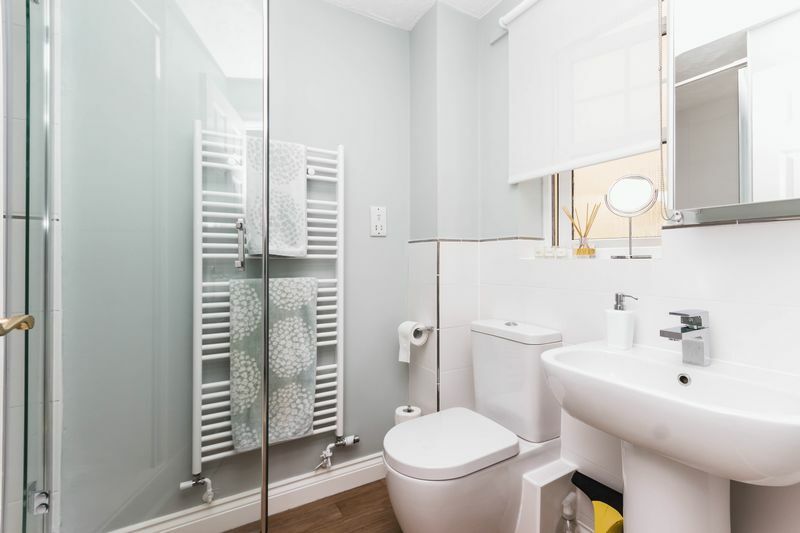 The first floor landing provides access to all principle rooms, folding doors to a storage cupboard and further door to the airing cupboard with tank and slatted shelving above. 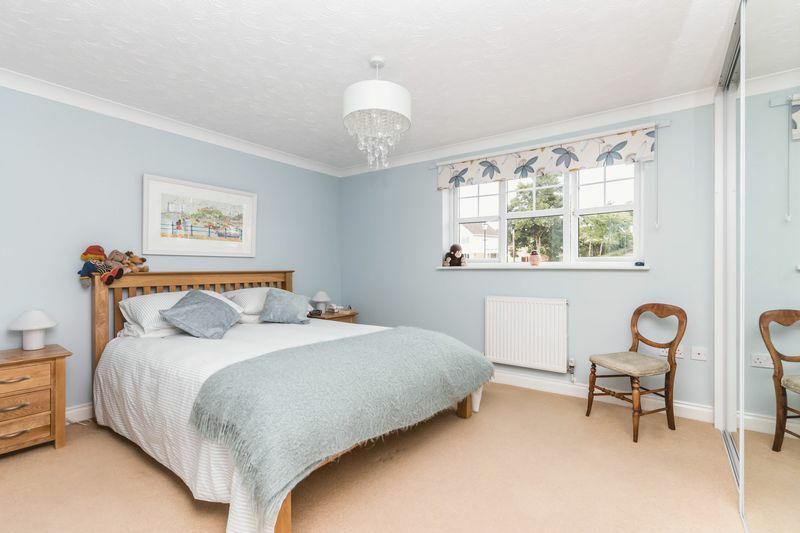 The master bedroom benefits from a modern en-suite shower room and a range of built in wardrobes with mirror fronted sliding doors with hanging rail and shelving. 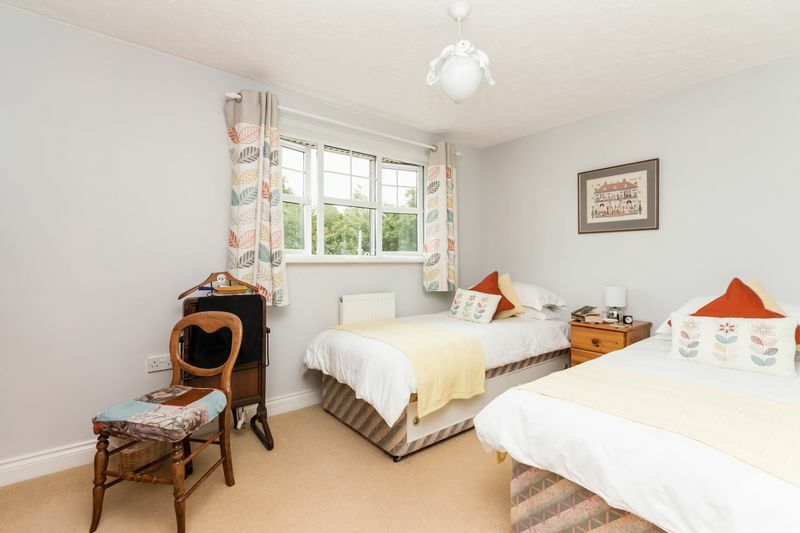 Bedrooms two and three offer windows to the rear of the property enjoying wonderful views over the surrounding countryside. 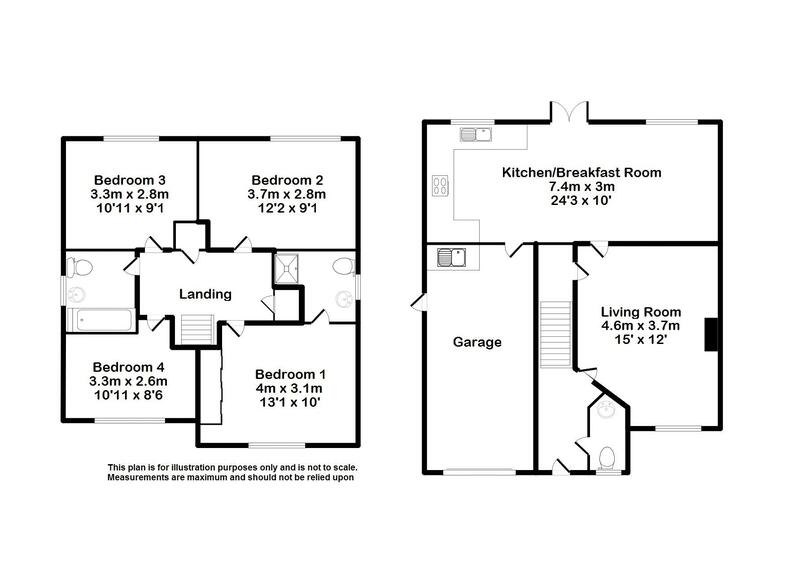 The current owners use bedroom four as a study with a window to the front aspect. 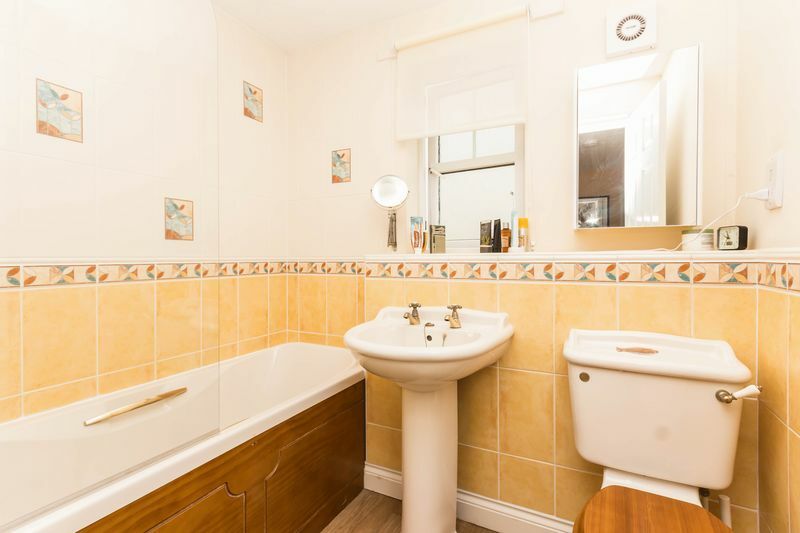 The main bathroom completes the accommodation comprising a three piece suite including a bath with mixer tap over, WC and wash hand basin. 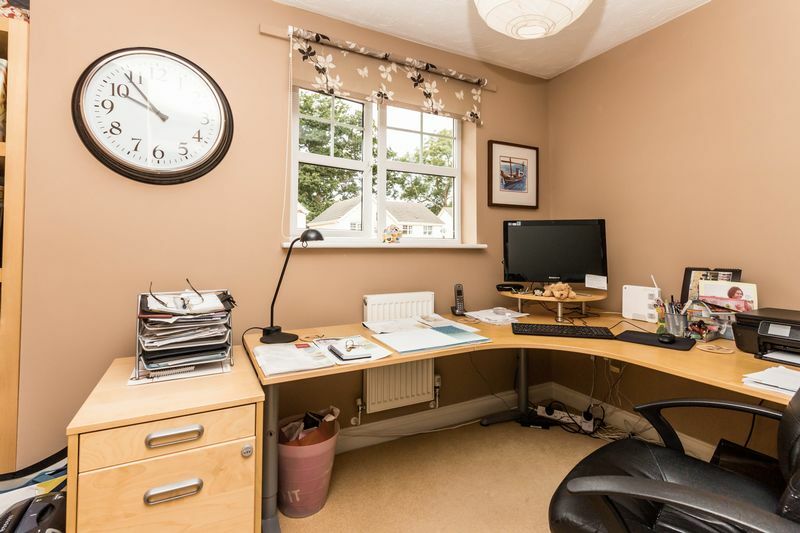 The property is approached via a double driveway providing a good amount of off-road parking leading to an integral garage with an area of lawn and paved path to the front door along with pedestrian access to the side via a gate. The rear garden is mainly laid to lawn and is split over two levels. 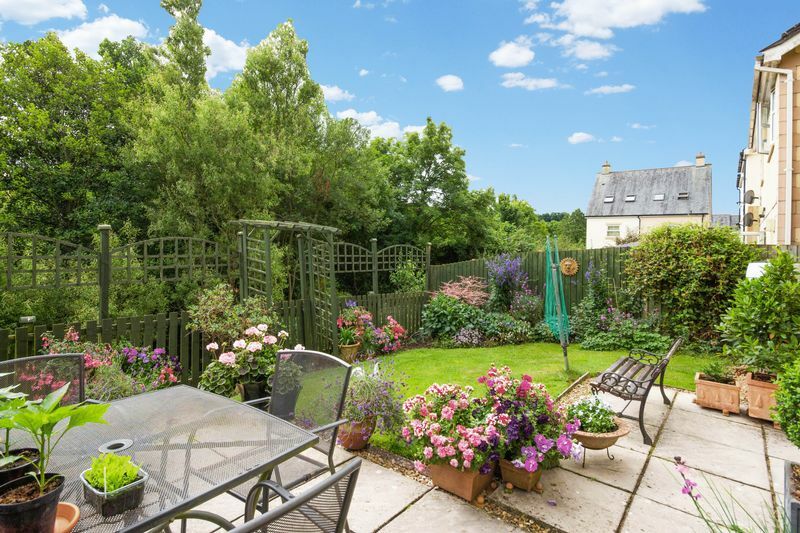 From the French doors in the kitchen there is a patio area - a great spot for alfresco dining and to admire the garden with well stocked borders containing a variety of climbers, plants and shrubs. The garden continues through a gate with wooden fencing and trellis to either side, down steps to a further area of lawn with trees and shrubs to the stream running past the foot of the garden - a fabulous spot for a further table and chairs to sit back with an afternoon tea and a book with the flow of water to help relax! The property benefits from solar panels which are owned outright and have NOT been leased.